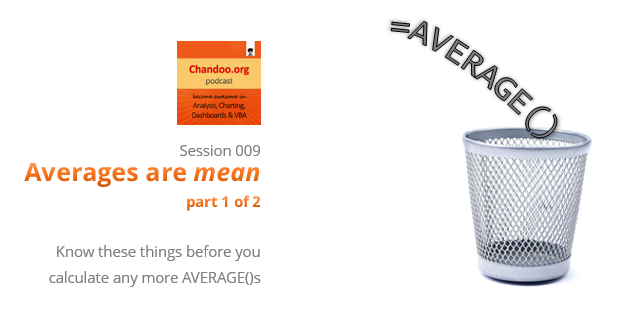 Today’s Power Monday trick is about Power Query. This is based on my experience of working with large volumes of data. Today I have been building a hotel dashboard (more on this later). As part of the dashboard, I wanted to show a random sample of user reviews. Reviews database had quite a few rows, so I wanted to extract a randomized sample of 100 reviews and show them in the report. When you refresh the report (Data > Refresh), then a new set of reviews will be fetched and shown. 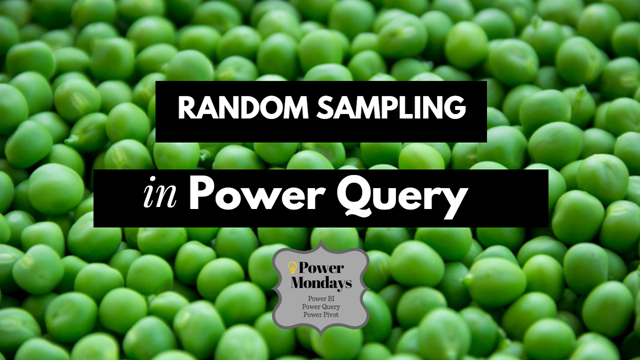 Let’s learn how to generate a random sample with Power Query in this article. More details & links for Sale page will be available on 10th of December. Stay tuned. It has been a while since we had a round of Excel links. Here are some cool tips & links for you. Yesterday was Halloween. To our readers who are not familiar with it, ‘Halloween is a colorful festival with lots of costumes, scary stories, theme parties and trick-or-treating, celebrated on 31st October, every year.” I have never celebrated Halloween as it is an unknown tradition in India where I live. But that is no excuse. Especially when the celebration calls for colorful clothes, scary themed houses and shrieking kids. The only ones with costumes in our house are my kids. If I send my kids for trick or treat, they will get neither. So that brings us to the only part of Halloween that I can celebrate. Telling scary stories. So lets talk about the stuff that scares us. But bear in mind that I am not interested in that time when you & your cousin went camping and stumbled in to an abandoned log cabin to discover the …Save it for real Halloween. 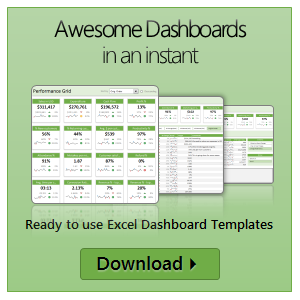 We want to talk stuff that scares you in Excel of course. Did I tell you I love tennis? Some of my personal heroes & motivators are tennis players. And as you can guess, I admire Roger Federer. Watching him play inspires me to achieve more. So last night when he lifted Wimbledon trophy for 7th time, I wanted to celebrate the victory too, in my style. 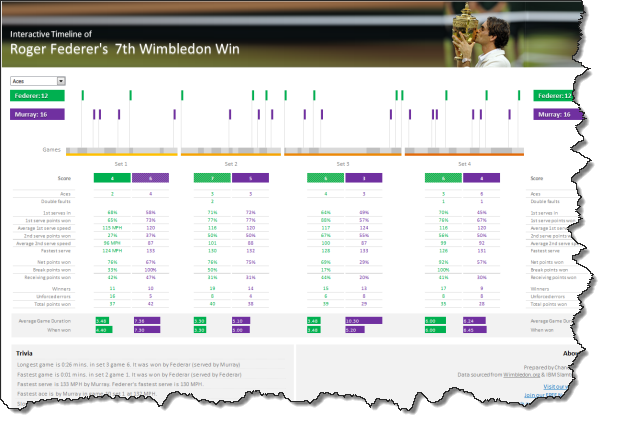 So I made an interactive timeline chart in Excel depicting his victory.